HUOBER BREZEL offers a crispy organic range of long-life baked goods for the entire family which suit varying eating habits. As an organic producer, HUOBER BREZEL sees itself as a partner to organic agriculture and aims to appeal to responsible consumers by selling through a range of dealers. Our distribution channels are manifold because our aim is to reach responsible customers. This is why you will find HUOBER brand products both in supermarkets in the conventional food trade as well as in specialist natural food shops. 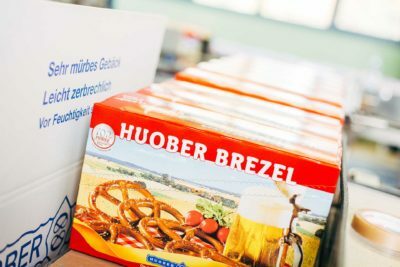 On supermarket shelves in the conventional food trade, HUOBER BREZEL, as a one-hundred-percent organic brand, is an important alternative to snacks made by manufacturers who do not think about the social consequential costs of their products as much as the "brand that makes the sun shine three times." In natural and health food shops, HUOBER BREZEL is appreciated as a classic manufacturer of long-life baked goods which has resolutely seen itself as a partner to organic and biodynamic agriculture since 1982. "ORGANIC IS NOT A LUXURY, ORGANIC IS THE BASIS!" 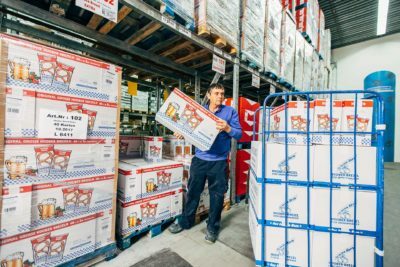 Against the backdrop of different distribution channels we are responsible for creating identical unit prices for all dealers of our brand range; certainly in the case of comparable conditions. And that is not always easy! Because there is one particular mindset that seems to rule in negotiations: "The more I buy, the less I should have to pay for it." It is of course only natural that every trading concern has its own price policy. Because every dealer has his own circumstances and conditions, his own ideas on the range and his own customers. His selling prices are part of his customer communication. We work on a price basis. It is a problem of social awareness that our competitors in the food trade rely on the persuasive powers of being “cheap”. We try to overcome this problem by communicating recommended retail prices on a regular basis. 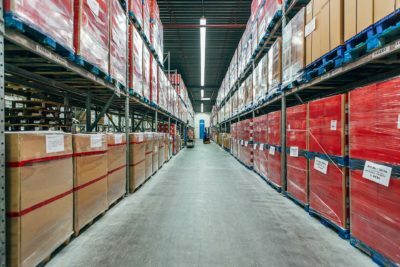 Our HUOBER sales and distribution team has its own logistics centre in Erdmannhausen that we also use and have extended as a platform for other organic manufacturers. The HUOBER sales team is supported throughout Germany by a network of agencies. We look at the relationship between traditional baking products and the grain culture of a particular country and have discovered that our pretzels and agriculture in southern Germany simply belong together. The idea of the HUOBER pretzel can only ever hope to blossom if it is rooted in the purposeful cultivation of grain. But we are quite happy to send what blossoms in this way to foreign parts. And this is how HUOBER pretzels have been appreciated, although not as bulk goods, for many years now in many countries, such as Japan, Australia, India... And the closer we come to Europe and to our neighbouring countries, the more our pretzels are established: as an ever-fresh greeting from the home of the pretzel. The aim of our pricing policy is not a specific aim to maximise profits - a goal put forward as an honourable one in general business administration. Rather it is our duty as a company to maintain healthy business relations to all partners in the value added chain, ensuring there are no losers, and wherever possible to shape socio-cultural impulses. This goal can be achieved if we monitor all price-relevant factors and our customers place their trust in us. We therefore give our dealers a recommended retail price for every article within a plausible price corridor. Naturally these price recommendations are non-binding because it is up to the dealers to decide the price they want to sell at. On the other hand, our recommended retail price is binding for us at the time of transfer. We have to know from experience or by instinct whether the specific price recommendation for the relevant products are realistic. We have to estimate whether these prices leave dealers a decent margin while at the same time guaranteeing us, as manufacturer, a reasonable selling price. But what exactly do we mean by reasonable? We can give our employees a reasonable salary from the proceeds. We can use the proceeds to invest in such a way that we can continue to satisfy demand in future. We can pay our suppliers, especially our farmers, grain prices which give them a perspective for their agriculture.